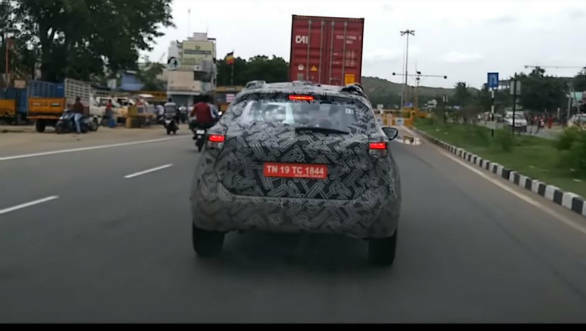 In a new video available on the internet, the upcoming Nissan Kicks SUV has been spotted testing again in the country. 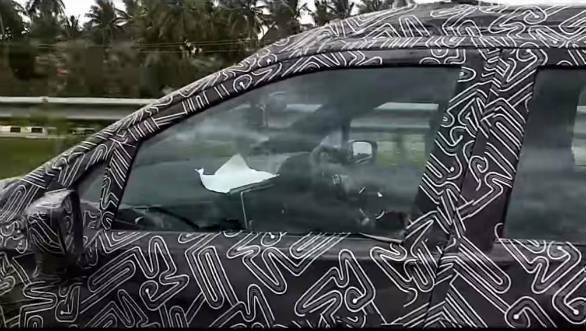 This video reveals glimpses of the interior of the India-spec car for the first time. The Nissan Kicks interior seems to have been carried over from the international version. Visible clearly is the large, new-gen infotainment system previously unseen on any Nissan product sold in the country. Also seen is an all-black interior colour scheme, although this could be a pre-production setup. A dual-tone scheme makes more sense for the Indian buyer. As we reported earlier, he Kicks will be styled as per Nissan's latest design language. This means edgier styling with prominent haunches over the wheel wells and a strong character line along the shoulder. A prominent feature is the new grille design featuring a large chrome insert. The wider front and rear light units also add presence. The Indian version of the Kicks is expected to look almost identical to the Kicks sold in international markets though it might differ from that version in its construction. The reason behind this is the fact that Nissan is keen on localising the Kicks for India heavily, so as to be able to price it competitively. The Nissan Kicks is the brand's low-cost alternative to its European models like the Nissan Qashqai and Juke crossovers. The SUV has been designed keeping in mind developing markets in South America and Asia. The Kicks will be based on Renault-Nissan's low-cost B0 platform that underpins cars like the Renault Captur, Renault Duster and Nissan Terrano, unlike the more complex and consequently more expensive V-platform cars from Europe. The Kicks is most likely to be offered with the tried and tested 1.5-litre K9K diesel motor as seen on other Nissan-Renault vehicles. This will likely be offered in the 110PS and 240Nm tune. However, the Kicks is also offered internationally with a 1.6-litre petrol motor which makes 114PS and 156Nm and a 2.0-litre petrol with 143PS and 195Nm. 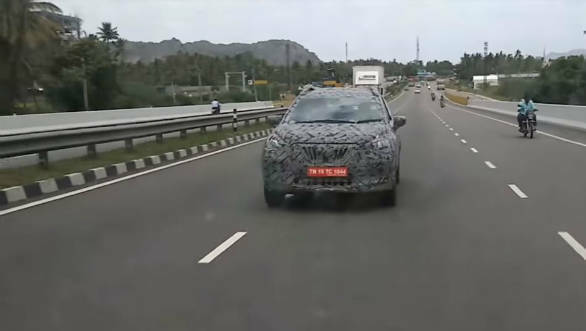 If equipped with these engines, the Kicks will be able to better compete with other cars in this segment like the Hyundai Creta, Jeep Compass and Mahindra XUV500. A CVT option is also offered in Brazil which also makes sense for the Indian market. The Kicks should be better equipped than the Terrano and also the Captur. Apart front the usual list of features available on these cars, the Kicks will get a new infotainment system compatible with Android Auto and Apple CarPlay. Interior quality should take a step forward as well, with a more premium feel to the cab, new switchgear and a layout not seen on Nissan cars before. Expect the Nissan Kicks to be priced at around Rs 14-lakh mark (ex-showroom).